Messaging is getting more and more expressive -- today you can say I love you with an emoji, a gif, or a sticker. Millions of users share expressive content every day on Android devices using Gboard as their default keyboard. 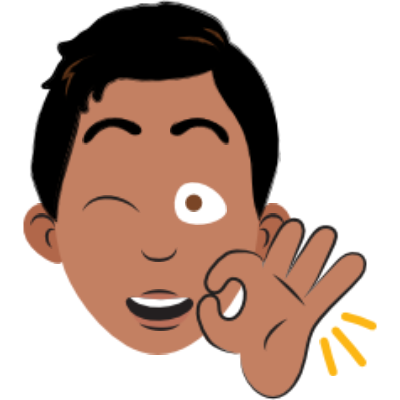 We want to push expression even further by allowing developers to create their own stickers for Gboard. Some of our early partners include Bitmoji, Disney, and even our own Allo team. Once published, your stickers could be seen and shared by millions of users around the world. Using the Firebase App Indexing API, you'll be able index any sticker assets you create, publish your app to the Play Store, and get featured in the Gboard Sticker collection. 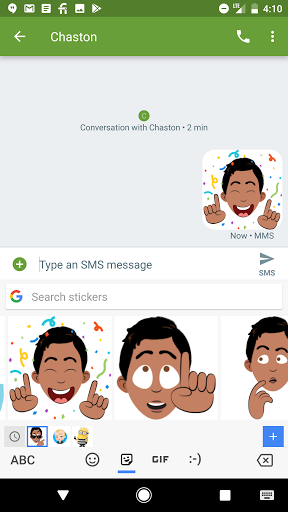 Once a user downloads your sticker pack from the Play store, they'll be able to send those stickers directly from their keyboard in any Android app that supports image insertion! To kick things off, you'll need to add the Firebase App Indexing library. Visit the Firebase Getting Started Guide for details. Once you've set up Firebase App Indexing, read through our sticker guide to learn how to index those stickers. Next, create your sticker assets! You should build and index stickers on first run after update or install to minimize the lag between a user installing the app and seeing the stickers in Gboard. Our sample app should give an idea of the end-to-end flow. Users often look for stickers via searching on keywords. That means you'll want to add appropriate keywords to allow users to find your stickers and you can use the put method to add keywords. In the code snippet below, you'll see that a Snoopy sticker is tagged with the keywords: "bye", "snoopy", "see ya", and "good bye". For larger sticker packs, you'll want to make sure you've tagged stickers with keywords so that they're easier for users to find. We've come up with a list of common English phrases/keywords you can use to tag your stickers. But don't forget to internationalize your stickers -- to do this you'll want to first detect the device language and then index keywords that correspond to that language. Finally, share your stickers with the world! To be featured in our Sticker Collection on the Play Store, fill out this form. But first, make sure to thoroughly test the sticker pack using the latest build of Gboard, If your app has high-quality stickers and is working well with Gboard, we'll add it to our sticker collection; this is the best way to get it seen by millions of Gboard users! We're really excited to see what sticker packs you're able to build.